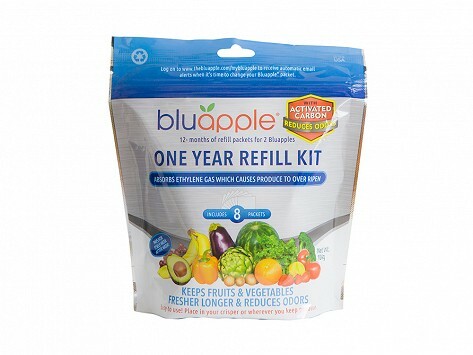 This refill kit comes with eight Bluapple Carbon packets to refill your Bluapples and keep your fridge fresher for 12 more months. 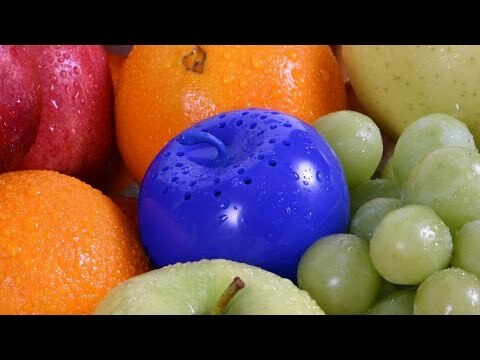 Bluapple with Activated Carbon absorbs and neutralizes the ethylene gas given off by produce to keep it fresh 2-3 times longer than normal, as well as ridding your refrigerator of odors. Dimensions: 2.5" x 2.5" x 0.25"
Thank you for helping me lower my food budget by keeping produce fresh and giving my family more time to eat it instead of throwing it out. Because the blue apples work so well, I invests in the refits.